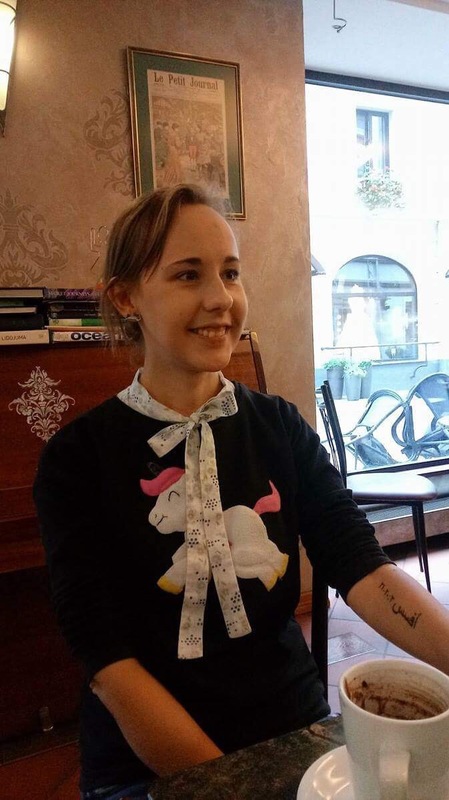 During Suburban’s summer of 2015 trip to Latvia, our team was blessed with the language interpretation skills of Inguna Raudina a young woman of Matthews Church. The ladies from Suburban appreciated Inguna’s skills at interpretation and her evident love for Jesus and joy in the Lord. Today Steve and I got to have coffee with Inguna and catch up with where following Jesus has brought her at this time. A lot has changed in 2 1/2 years! One year ago, with the help of Baltic Global Initiative Director Peteris Eisans (more about Peteris later), Inguna went on mission internship to Jordan. For three months she worked three days a week teaching English to children. Children of several nationalities, several language groups, several religions and various life status – including some refugee children. She lived with a local Pastor’s family and worked at developing relationships and growing in her understanding of what God had next for her life. 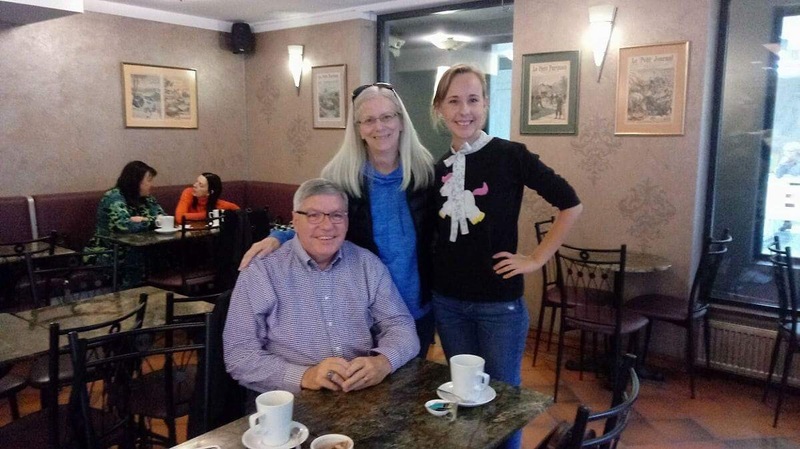 When Inguna returned to Latvia she became a member of Vilandes Baptist Church in Riga and joined “Josiah Venture” https://www.josiahventure.com/ a mission organization focused on reaching and discipling the youth of Europe. Her primary area of ministry is youth camps, often the place that a young person chooses to follow Jesus. Josiah Venture also works to connect these young new believers to a local church and into a discipleship experience. Inguna is walking in faith as she serves the Lord through Josiah Venture and seeks to build her support base for her ministry life. Steve and I are praying with her that her support goals will be met and, even more importantly, for the youth of Europe to hear the Gospel message and respond! A couple of hours later we met Peteris and Baiba Eisans. It was so good to see both of them again, but honestly it was best to see Baiba since it has been a long time since we spoke face to face. Peteris and Baiba are doing well. Baiba does finances for a couple of organizations, one of which is Cru (Campus Crusade for Christ). Their three children are growing up! Ruta is nearly 15, Philips is 11 and Edwards is 6. Peteris’ role as Director of Baltic Global Initiative keeps him busy with travels and several projects. A top project right now is The Kairos Project, an educational series that encourages individuals to engage in cross-cultural missions. In January Peteris will fly to the west coast and spend time in Portland presenting at Mission Connexion, spend time with Suburban (hooray! ), and spend some time in California working with a group that will help him discover and apply for grants to help with various projects. 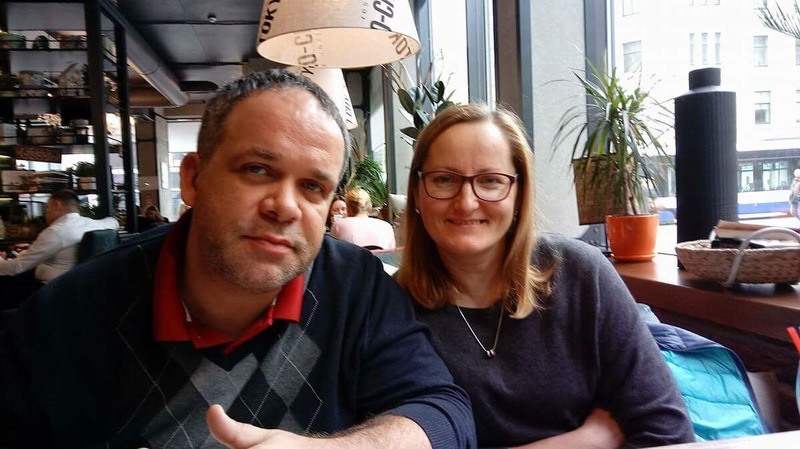 Peteris has very clear vision, passion and drive to see the gospel transform lives in the Baltic nations, but also to see the churches of the Baltic nations become sending churches engaged in cross-cultural missions.